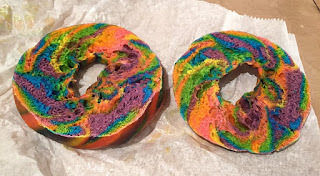 I saw a photo of Rainbow Bagel sold at Village Bagels in Stamford, Connecticut, and I visited on a weekend afternoon, but they already ran out of it. This week, I went there around 2:30 PM on a weekday, and though there's nothing left in the rack with "Rainbow" label, we asked if they had any and luckily they did. 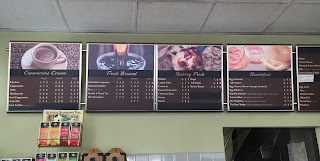 Bagel was listed as 1 dollar, but I'm not sure if any kind is sold at the same price. 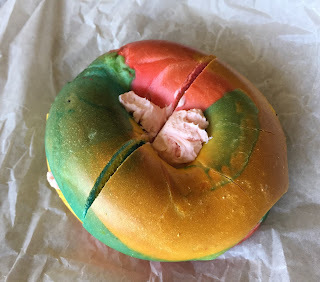 I asked them to put strawberry cream cheese on a not-toasted bagel, it's 2.85 dollars before tax. 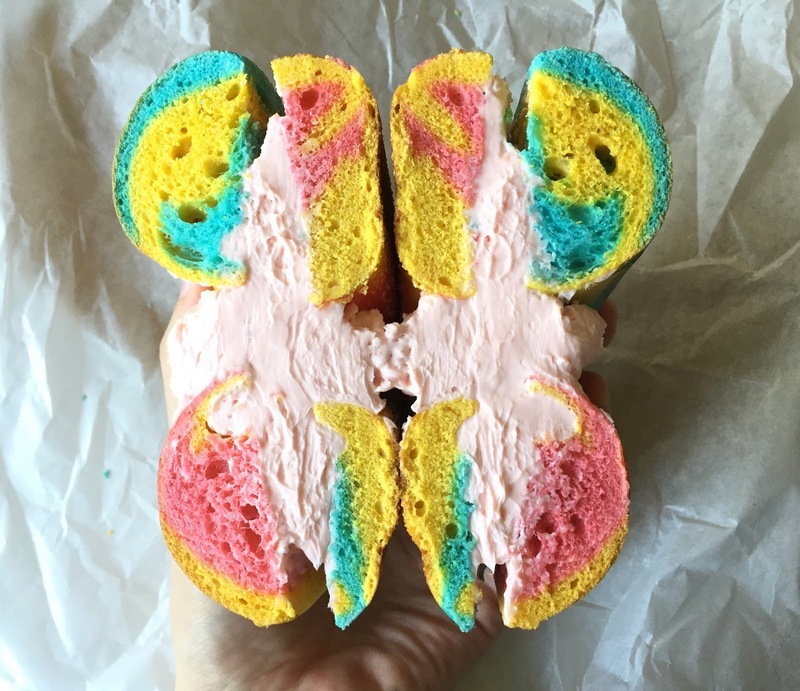 The specific reason that I almost always get non-toasted bagel with any kind of cream cheese is to enjoy the rich, thick, and creamy texture of the cream cheese because on a toasted bagel, the spread becomes soft and too light due to the heat. 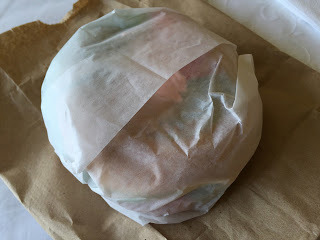 It's wrapped in a parchment paper like other bagel shops do. The bagel was much paler and softer tone compared with Rainbow Bagel from The Bagel Store. 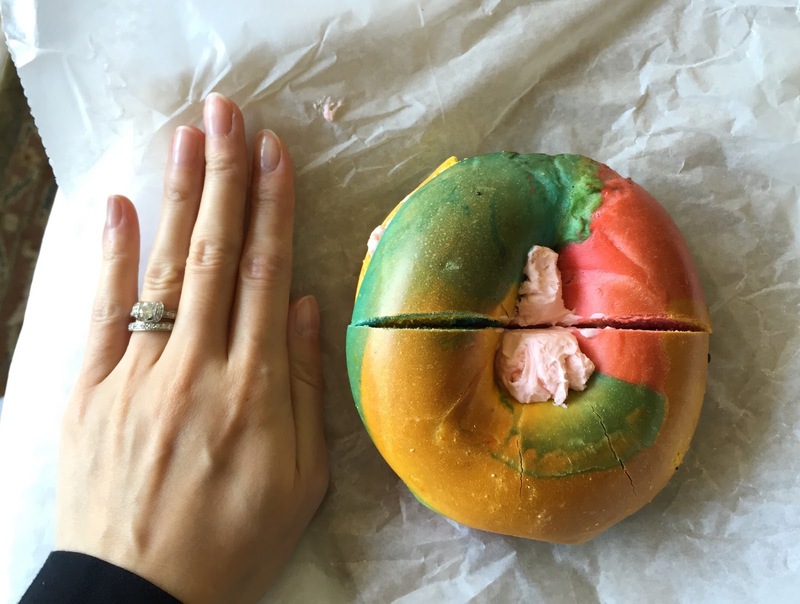 The size of the bagel was normal. The surface was shiny and the bagel was well risen. At the bottom, there're tiny pieces that looked like poppy seeds. 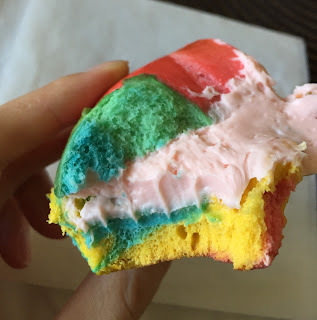 Inside was also pastel-tone rainbow, and the strawberry cream cheese was also subtle pink. 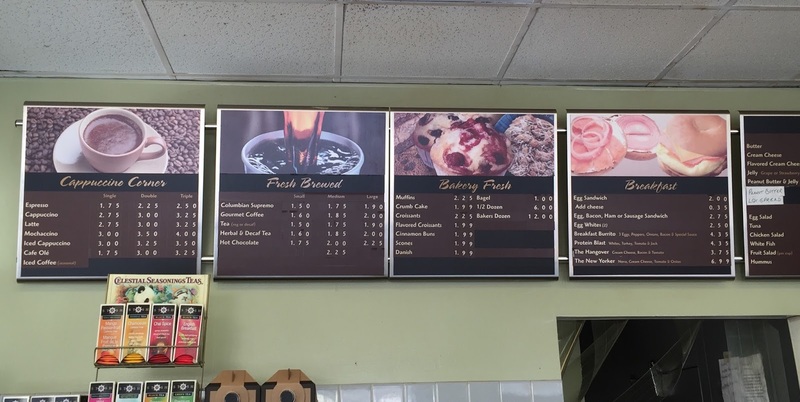 The difference between the bagels from Village Bagels and The Bagel Store is very clear. 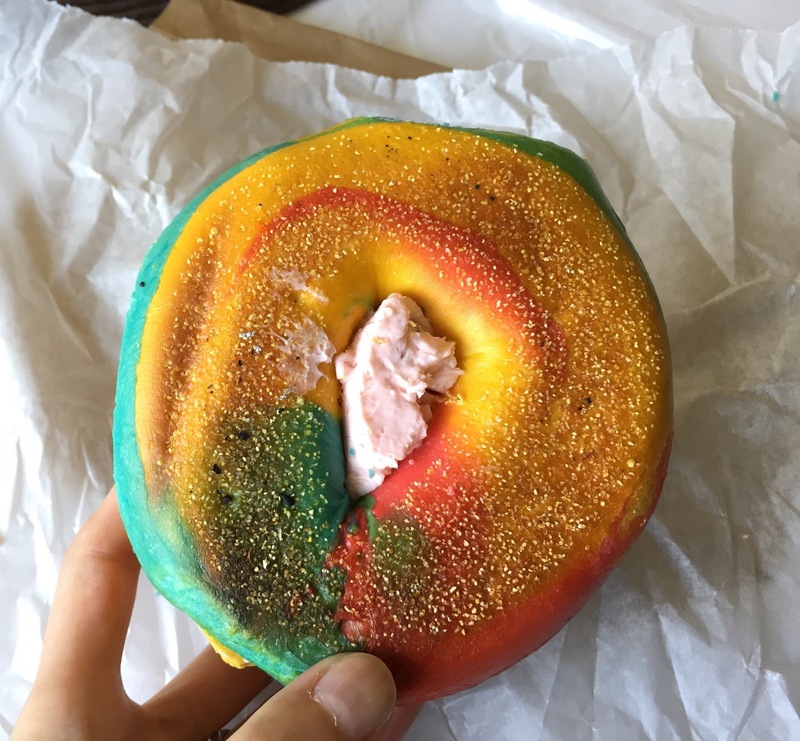 The color of the bagel was yellow, blue, green and pink, and it was chewy and dense in a good way. 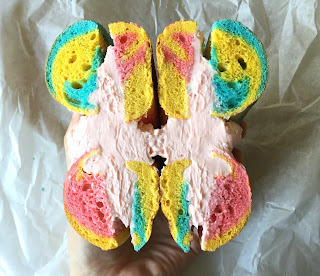 The dough wasn't as sugary sweet as the one from The Bagel Store, and it tasted as same as their plain bagel, which I liked. There're some strawberry chunks in the strawberry cream cheese, and despite the pale color, it had noticeable strawberry scent and taste.